The Belfast economy has recently experienced an influx of investment and economic progression thanks to the R&D tax credit programmes initiated by tax authorities. As more and more companies decide to establish offices, headquarters, and everything in between here in Belfast; the competition will most certainly become much more intense. Thanks to the excellent tax advisors here at Swanson Reed, we’ll be able to differentiate your company from the competition with our unique approach towards research and development tax credits. 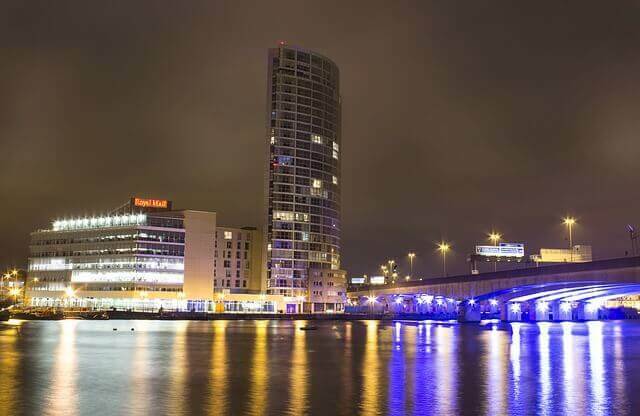 Read on to learn more about the Belfast economy and why Swanson Reed is one of the best choices for R&D tax advising. Enjoy! Nearly any city will benefit from R&D tax credit, yet Belfast is a city which will certainly see the benefits of the R&D tax credit on a much higher level as it’s already primed itself for success and growth on many levels. The tax credit implementations will prove to be very much worthwhile and have a large number of positive effects on the overall, local economy. As investment continues to take place, research and development will continue to thrive and provide innovative solutions to previously difficult problems. Many Belfast-based companies are underutilizing the R&D tax credits available to them for qualifying activities. We at Swanson Reed are able to help locate the tax credits required for the best tax credit year yet from an R&D perspective. We’re the experts in our domain and we want to share our expertise and experience and have you and your company well on its way towards seeing even more success after fully utilizing the R&D tax credits available to you. When selecting a tax advisory firm for your research and development tax credit findings and implementations, you’ll want to select a company which has the experience required for the ultimate tax credit. Our tax advisors know exactly where to search for underutilized tax credits for your Belfast business and/or organization and we’ll be sure to assist every step of the way. Feel free to contact us to learn more and we’ll be sure to respond to your inquiry as soon as possible. We look forward to working with you soon!